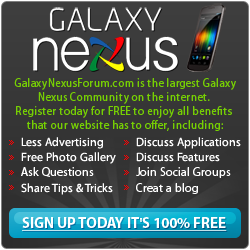 Below you will find a list of discussions in the Galaxy Nexus Themes forums at the Galaxy Nexus Forum - Samsung Galaxy Nexus Community. The Galaxy Nexus Themes forum is for discussion of: The perfect section to discuss ways to customize the entire look of your Galaxy Nexus with custom themes..
How to recover photos from samsung note 4? Galaxy s2/ s3 text theme? Anyone know if I can do this? What are .9.PNG files and why should I be afraid of them ?